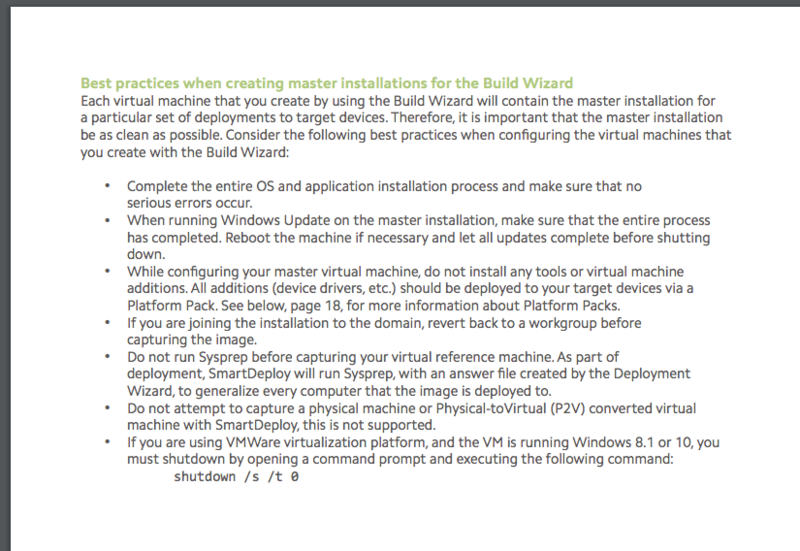 I am wanting to use SmartDeploy to deploy "Windows 10 Edu". I wanted to get ideas on best practices on how to remove certain provisioned packages from the base image, so when new domain users log on to the PC... they wont see certain provisioned packages. Provisioned packages such as "Get Office", XBOX, Solitaire Collection, One Drive, Mail App, Groove Music, Zune Video, "Skype Preview" etc. So far I have fired up my virtual machine, installed Windows 10 Edu, installed Office 2016, our antivirus, Adobe Reader DC, performed all updates. Do I remove the apps using PowerShell commands as mentioned in this article "https://4sysops.com/archives/remove-provisioned-built-in-apps-in-windows-10/" ? Does this need to run under Local Administrator? Or should I use Local Group Policy or should I use our AD Group Policy on the PCs (my fear with this is, I dont want it to slow down boot up time if it has to run uninstall apps all the time on boot up)? Links or instructions on how to do this would be great. Any other advice on what you guys do with Windows 10 Edu version before deployment. Okay my man here is what support told me on making a gold image. First off remove the AV. They have specifically told me that imaging a windows 10 machine with an AV is not something you should do because it can cause errors. 1. Have a Windows 10 Volume License. This is important because an image can only be syspreped a certain number of times and the volume license is the recommended (required?) way that they tell you to keep your deployments licensed. If you have any questions feel free to ask! I have been deploying with WDS for about 2 months now and have been troubleshooting most of the way! EDIT: I do not know of a way to do the same type of thing within either local policy or AD GPO. For more information on powershell uninstall methods check out these articles: http://www.makeuseof.com/tag/easily-remove-bloatware-windows-10/ and http://www.askvg.com/guide-how-to-remove-all-built-in-apps-in-windows-10/ (These are the ones that I originally found the code from). Anyone know if this still works on v.1709?